Majority of European American football players is dreaming of playing football in The States - starting with college. Up until recently - guys would have to apply to colleges on their own, or seek help from Coaches. Evan Harrington saw the gap and created Europe's Elite - a place where he can help the domestic talent go further in this sport. We've been hearing nothing but great things about Evan's work, and thanks to Alonzo Barrett, we managed to get in touch with Evan and share his story. I started my college career playing LB at a junior college in California, called College of the Canyons. My Head Coach was Garrett Tujae, who is now the OL Coach at the University of Virginia. I accepted a full scholarship to the University of Colorado where I played under Coach Dan Hawkins and Coach John Embree. My junior year I played LB and then my senior year I played fullback. After college, I signed to play with the NFL San Diego Chargers. After being released from the Chargers I went to play in the CFL. After a season in the CFL I went back to University of Colorado to finish my degree and was accepted as an undergraduate assistant RB coach. I then went to coach the RB’s at Clayton Valley High School in California, under one of the best High School coaches in America Tim Murphy. My first season in Europe, 2014, I played for the Basel Gladiators, where I helped lead them to their first ever Swiss Championship. I then coached the Winterthur Warriors U16 team that same season and won the U16 Championship. In 2015, I played RB for the Frankfurt Universe. We went undefeated and moved up to the GFL 1. In 2016, I retired from playing to become the Head Coach of the Winterthur Warriors Men’s team. Entering my second full season (2017) I am excited about our future. Europe’s Elite was born because I saw the lack of opportunities for young players in Europe. I saw this during my time coaching the youth teams in Winterthur and Frankfurt. Players would ask me about my college experience and I noticed they did not have a platform to be seen outside of their local communities. We have come up with three various service packages for players. We created these packages based on what players wish to achieve. Our Gold Package is for players who are college ready, but need a platform that requires personal training, visibility, and overseas face to face contacts; Silver Package is for players who want to play college football but need intense personal weight training, nutrition program, and Europe’s Elite camps; and the Bronze Package is for players who just would like to improve their football skills and become better at their club level. When a player selects their package they are assigned a personal coach based on their position who then will assist and train with them. Europe’s Elite camp players are measured by height and weight and then are put through combine testing which includes the 40-yard dash, 20-yard shuttle and the broad jump. After testing they go through position drills with coaches. At the end of the camp we have 1 on 1, and 7 on 7 competition where players compete against each other. At the conclusion of every camp Europe’s Elite selects an Offensive and Defensive MVP. 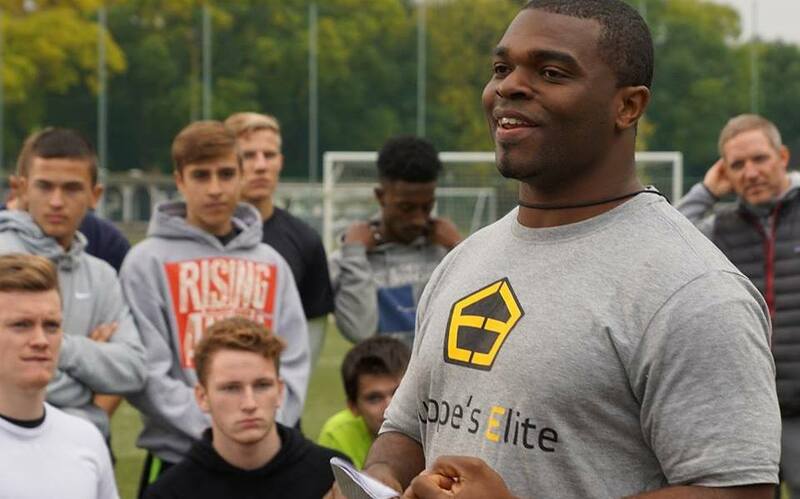 Europe’s Elite participants also receive their evaluations within 24-hours of the camp’s conclusion which is posted on Europe’s Elite website, which in turn is available to coaches, evaluators and scouts in the U.S. Europe’s Elite. At every camp, we have some of the best European coaches from the host countries. 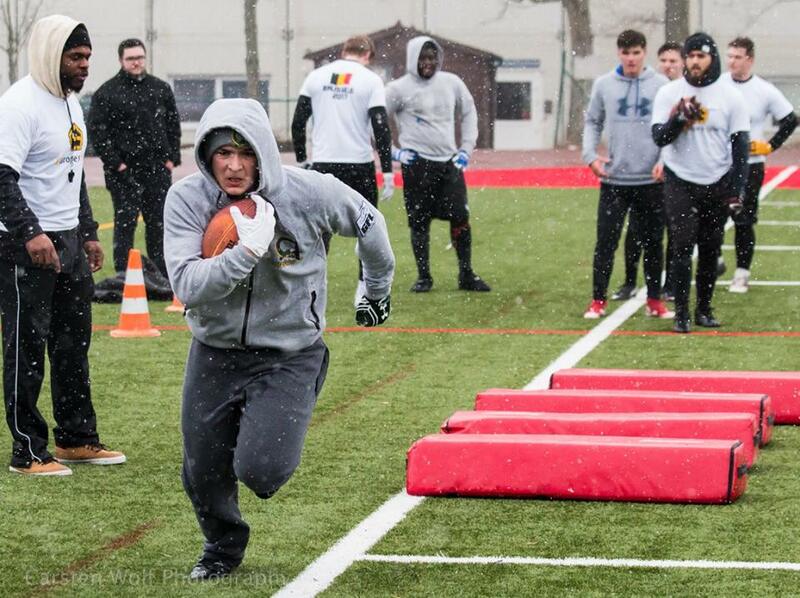 Players can expect to get hands on experience, fundamentals, and techniques not to mention an opportunity to compete against some of the best high school football players from all over Europe.